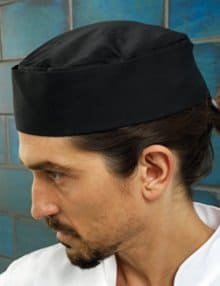 Catering Uniforms for Chefs - Great Choice, Great Prices! 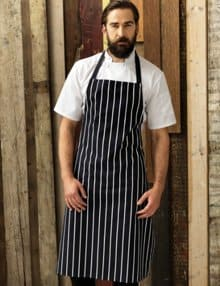 We supply chef clothing and If you’re a chef, you’ll know the importance of having proper clothing or whites. 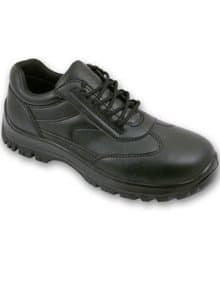 Their distinctive appearance tells everyone that you’re a proud member of one of the most ancient professions around. The chef’s uniform has evolved to keep up with modern catering clothing needs. The double breasted jacket allows it to be flipped inside out to hide any stains. A double cotton layer provides insulation from the burning heat of the stove, or any accidental spills. These days, chef's clothing has had a bit of a fashionable update. While the styles may remain the same, there are subtle differences. An executive chef may have a different uniform to the rest of the kitchen staff. 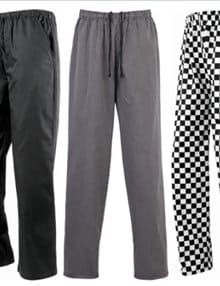 Darker coloured trousers are a popular choice to differentiate levels of expertise. Modern trends have allowed chefs to express themselves a little more, with a selection of patterns and colours, depending on the rules of the kitchen. Patterned chef clothes are also practical, and are able to hide any stains or soiled patches. 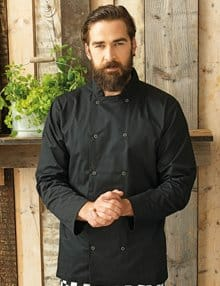 With a chef's uniform from Banksford, you can have pride in your uniform and profession, as chefs have had since Marie-Antoine Carême introduced the familiar crisp white Chef jackets in the 1800s as part of his efforts to have chefs recognised as the skilled professionals they were. He also insisted that chefs wear a smart suit when they weren’t at work, but thankfully that’s not expected these days.